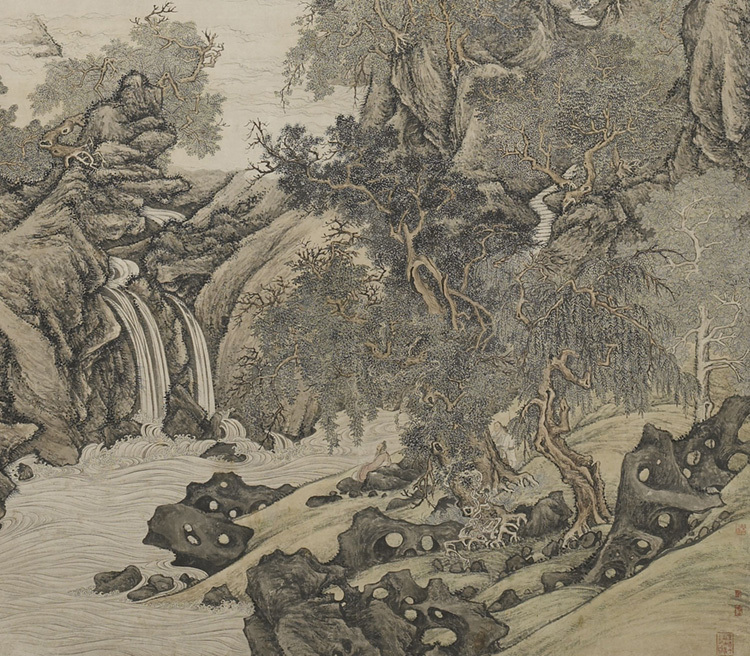 Detail: “Enchanted Mountains” reveals the rich imaginations and sensitivities of Chinese landscape painters through a variety of artistic styles. The works on display showcase the colorful court style as well as the refined literati mode of pale color—or, in the subtlest technique of all, varying tones of pure black ink. Drawn from Mia’s collection, these works span 500 years of Chinese history (1200s–1800s) and demonstrate the spiritual, philosophical, and religious ideas that shaped this significant tradition in Chinese painting.